You may remember California R&B singer TQ from his hit single "Westside" or his days as Cash Money's primary songwriter and hook man. 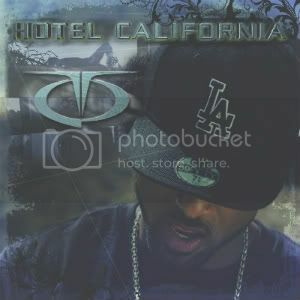 Penning such hits as "Way of Life" with Lil Wayne and numerous compositions with Mannie Fresh, The Hot Boys, and the Birdman, TQ is back with a new take on the Eagles classic "Hotel California". The new video which is available on TQ's YouTube channel TQtheTrojan, was directed by newcomer Nathaniel "Sith" Nuon and gives a new twist on this legendary story. "We wanted to go way out on this music video." explains TQ. 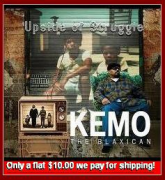 "After researching the lyrics and the story behind them, we found so many different interpretations that we decided to come up with our own. Sith is a madman as you can see... And this is only part one!" The new single is available for free download for the first week of 2012 across the net. TQ's new label Kado Records is planning a full promotional tour in the US and abroad to support the record which will be going out to radio later this month. TQ is also in the studio creating a new remix for the single which will hit the net in a few weeks and his new album "Legendary" due out later this year.